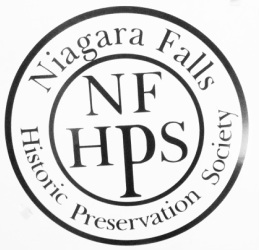 Plenary group co-founded the Niagara Falls Historic Preservation Society to advocate for historic preservation in 2006. The organization established its by-laws and mission in 2007. Co-Founders were Mary Ann Rolland, Marge Gillies and Rosemary Lahey. Tom Yots had established a working group that became the Niagara Falls Historic Preservation Commission. Ultimately the NFHPC received status as a “Certified Local Government.” NFHPS would support the work of this commission with its activities and events to advance the cause of historic preservation as economic development.